The Bills are matching the offer sheet for offensive lineman Ryan Groy, a source tells ESPN.com’s Adam Caplan (on Twitter). The Rams signed him to an offer sheet earlier this week, but they’ll have to look elsewhere for a center. Groy will now remain in Buffalo on a two-year deal worth $5MM with $3.5MM guaranteed. The Bills rolled the dice a little by giving Groy an original-round tender – which called for zero draft compensation if the former undrafted free agent was signed away – but everything worked out alright for the Bills. They have retained their the interior lineman at a reasonable price. The Rams cut former starting center Tim Barnes earlier this month and they were hoping to make Groy his replacement. 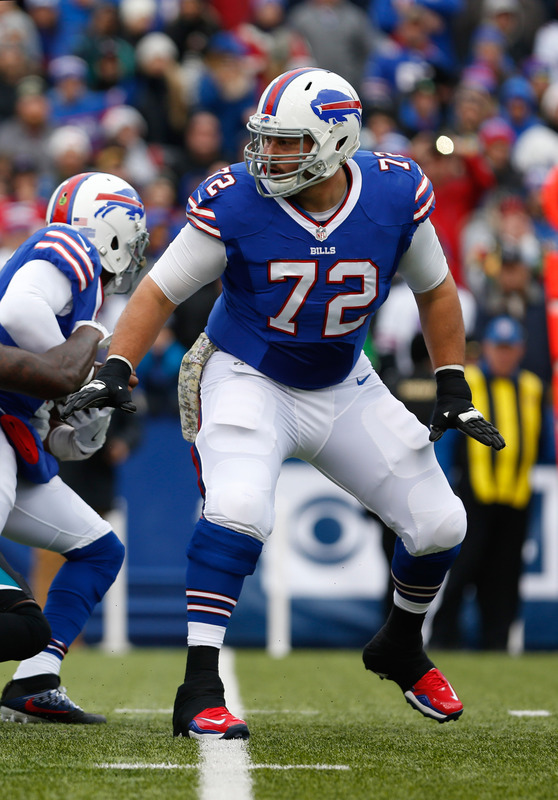 The Rams made a move late tonight to potentially add a starting center, signing Bills RFA Ryan Groy to an offer sheet, Mike Rodak and Adam Caplan of ESPN.com report. It’s a two-year offer sheet worth $5MM with $3.5MM guaranteed on March 21st, Ian Rapoport of NFL.com tweets. Groy inked the deal, as Adam Caplan of ESPN.com (on Twitter). The ball is now in Buffalo’s court. The Bills gave Groy and original-round tender and would not be entitled to draft compensation if they elect not to match since Groy was undrafted. Buffalo has five days to match the offer sheet. Groy was drawing interest as an RFA last week from teams who believe he could start at center or guard for them. Groy would be expected to become the Rams’ starting center, a status he does not presently occupy with the Bills. Currently, the Rams house fourth-year player Demetrius Rhaney as their only pure center. Eric Wood is the Bills’ starting center, although after a season-ending injury in November, Wood ceded his starting spot to Groy for the Bills’ final seven games last season. He’d previously started just three in his three-year career. Wood, though, is entering a contract year and will turn 31 on Saturday. Groy will turn 27 in September. The Bills saw an RFA decision last year come back to bite them in allowing Chris Hogan to sign with the Patriots. Groy did grade out better than Wood in the opinion of Pro Football Focus last season, but Wood has started 104 games for the Bills since 2009 and made the Pro Bowl in 2015. So, it will be interesting to see how the Bills proceed here since Groy, too, is entering a contract year. Bills restricted free agent Ryan Groy is drawing interest from at least four teams, sources tell ESPN.com’s Adam Caplan (on Twitter). A few of those teams, Caplan adds, believe that the guard/center could start for them. Groy, 27 in September, wound up starting in the middle for Buffalo after Ryan Wood suffered a broken leg last season. All in all, he had an alright showing, placing as Pro Football Focus’ 23rd best center out of 38 qualified players. At minimum, Groy would make sense for teams as a sub who could play in three different spots on the offensive line. Groy was undrafted, so under the terms of his “original round” tender, the Bills would not be entitled to any draft compensation from a club if they choose not to match an offer sheet. The Falcons have released an injury settlement with tackle Lamar Holmes, releasing him from the reserve/PUP list, tweets Aaron Wilson of the Houston Chronicle. Holmes’ four-year rookie deal had been set to expire at season’s end, but since he was on track to spend all year on the PUP list due to a foot injury, his contract would’ve tolled, keeping him on Atlanta’s roster. Instead, he’ll reach the open market a little early. To fill the roster spot formerly held by Trent Robinson, whose release was noted below, Washington promoted linebacker Carlos Fields from its practice squad, Tarik El-Bashir of CSNMidAtlantic.com reports. The 25-year-old Fields should serve as depth for a depleted Washington linebacking corps Monday night, with Mason Foster and Will Compton expected to start. Perry Riley remains out, and Keenan Robinson is questionable, so Fields figures to see extensive special teams time. Darius Jennings joins the Browns‘ active roster after the team promoted the wide receiver from their practice squad. Cleveland cut linebacker Darrian Miller to make room, Mary Kay Cabot of the Cleveland Plain Dealer reports (on Twitter). A former Virginia wideout, Jennings caught on with the Browns after a minicamp tryout this May. Miller played in two games as a backup after spending nine weeks on the team’s practice squad prior to his promotion. The Dolphins signed defensive end Jordan Williams from their practice squad and cut tight end Brandon Williams to make room, James Walker of ESPN.com tweets. Initially signing with the Jets as a rookie UDFA this offseason, Jordan Williams signed to the Dolphins’ practice squad in October. The Giants waived cornerback Leon McFadden and signed linebacker James Morris to take his spot on the 53-man roster, Dan Graziano of ESPN.com reports (on Twitter). A 24-year-old inside backer, Morris played in three games with the Giants this season after spending time with the Patriots in 2014. Washington waived/injured safety Trent Robinson, per Master Tesfatsion of the Washington Post (via Twitter). Robinson was backing up Dashon Goldson and Kyshoen Jarrett previously. If Robinson clears waivers, he’ll land on Washington’s IR, per Jay Gruden (via Tarik El-Bashir of CSNWashington.com, on Twitter). The Bills have promoted running back Michael Gillislee to the active roster, reports Joe Buscaglia of WKBW in Buffalo (via Twitter). The former fifth-round pick hasn’t played in the NFL since a three-game stint with the Dolphins in 2013. To make room on the roster, the team has waived offensive lineman Gabe Ikard. The Oklahoma product has only made three appearances this season, although Buscaglia believes his absence will lead to Ryan Groy being active for the first time. With the Bengals dealing with a banged up secondary, the team has promoted cornerback Troy Hill from the practice squad, reports ESPN’s Coley Harvey (via Twitter). To make room on the roster, the team waived cornerback Chris Lewis-Harris, who was injured during last week’s victory over the Rams. The Bills have made a series of roster moves today, announcing in a press release that they’ve re-signed wide receiver and kick returner Marcus Thigpen, as well as offensive lineman Ryan Groy. To make room on the 53-man roster for the two new additions, Buffalo has waived running back Boom Herron and wide receiver Denarius Moore. Thigpen, 29, started the season with the Bills, but was cut to create an opening for Moore back in early October. Since then, the return specialist has spent some time with the Colts and the Raiders, but was let go by Oakland earlier this month. Thipgen figures to take over return duties for the Bills, after Leodis McKelvin fumbled one away on Monday night, and muffed another. Herron and Moore, meanwhile, are recognizable names, but their brief stints in Buffalo didn’t result in many memorable moments. Herron, a former Colt, totaled 37 yards on 11 carries in his four games for Buffalo, adding another 20 yards on three receptions. Moore didn’t have a single reception during his time with the Bills. Herron and Moore will have to pass through waivers before reaching free agency. The Jets signed tight end Wes Saxton off of their taxi squad, Manish Mehta of the New York Daily News tweets. Saxton will provide the Jets with depth while Jeff Cumberland is sidelined. The Patriots promoted defensive tackle Khyri Thornton from the practice squad to the active roster, Mike Reiss of ESPN.com tweets. New England wanted to beef up its defensive front and they had an open spot to use. The Colts added running back Zurlon Tipton to the active roster, as Mike Chappell of FOX59 tweets. To make room, defensive lineman Earl Okine was waived. The move likely means that running back Tyler Varga will not be ready to go this weekend. The Patriots removed Ryan Groy from their injured reserve with an injury settlement, Aaron Wilson of the Houston Chronicle tweets. New England also released tight end Jake Bequette from the club’s injured reserve list, making him a free agent. The Patriots will move running back LeGarrette Blount to the reserve/suspended list for Week 1 as part of their cutdown to 53 players, so the team will have to make 12 more roster moves by today’s deadline. 12:23pm: The Patriots traded linebacker Matthew Wells to Chicago to acquire Groy, a source tells Field Yates of ESPN.com (on Twitter). Wells was a 2015 sixth-round selection by New England. 11:32am: The Patriots have acquired guard Ryan Groy from the Bears, a source tells Rand Getlin of NFL.com (on Twitter). The exact return is not known at this time, but the Patriots likely didn’t give up much to acquire the offensive lineman. Groy was a member of the Bears’ practice squad to start the 2014 season but was promoted to the 53-man roster when right tackle Jordan Mills went down with a rib injury. Groy, 25 in September, saw time in four games for Chicago last season, including three starts. He entered the league as a UDFA last offseason after going undrafted out of Wisconsin. The acquisition of the Wisconsin product marks the Patriots’ second transaction so far on Monday. Earlier today, the Pats cut quarterback Matt Flynn in order to sign Ryan Lindley.